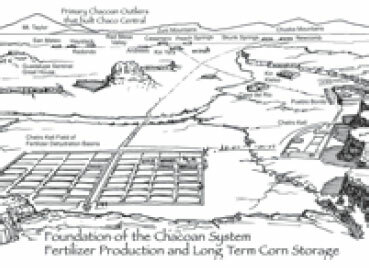 Chacoan and Mayan agricultural production trategies. Is the solution to this question compatible between these two cultures in very different regions of North America? INTRODUCTION: My research on the Chacoan and Hohokam methods of producing fertilizer provides the key to unraveling one of the greatest mysteries concerning the Mayan civilization of the Yucatan and Guatemala. The mystery is, how did the Mayan produce adequate food to feed the millions of people who built the famous Mayan monumental architecture in a rain forest environment with an inadequate water supply and extremely poor limestone soils? This is essentially the same question that has been asked about the Chacoans except that they lived in an extremely arid desert region and with very poor sandy saline/ alkaline soils. 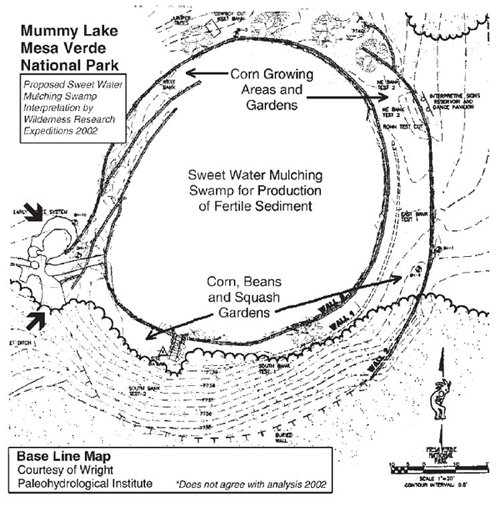 The following is from NASA news release August 2004 which highlights this question and yet fails to provide the answer as to how the Mayans provided for soil fertility in an intensely developed agricultural region that was utilized for more than one thousand years. According to NASA archaeologist Tom Sever, the Mayan civilization in Mesoamerica was one of the densest populations in human history. Around 800 A.D., after two millennia of steady growth, the Mayan population reached an all-time high. Population density ranged from 500 to 700 people per square mile in the rural areas, and from 1,800 to 2,600 people per square mile near the center of the Mayan Empire (in what is now northern Guatemala). Although the Maya’s secrets for success are harder to discern than their reasons for failure, Sever has at least one idea. “In slash-and-burn agriculture, people clear the land to plant corn, for instance,” he said. “They get 100 percent productivity the first year, 60 percent the next year, and something less than that afterwards. So in three to five years, the land is basically useless, and they have to move on.” In a sparsely populated region, slash-and-burn agriculture might work, but Mesoamerica around 800 A.D. was one of the most densely populated areas in the pre-industrial world. “Slash and burn wouldn’t have enabled a population to grow to that size,” he said. In the Petén region Sever studies, rainwater accumulates in swamplands, known as bajos, that cover about 40 percent of the landscape. Today, that rainwater evaporates before anyone can use it effectively, but excavations and satellite images have revealed networks of canals among the bajos, apparently dug during the time of the Maya. Sever suspects that the Maya used the canals to redirect and reuse the rainwater. This laborintensive agriculture, which probably kept farmers working diligently all day, would have barely outpaced demand. If the Maya farmed the bajos, however, they took advantage of an additional 40 percent of the landscape, which would have made a significant contribution to food production. Modern Mesoamericans consider the bajos worthless and ignore them. “We’re trying to understand how to control water and enable this landscape to support current populations, to reduce some of the stress on the economy and environment,” Sever said. CONCLUSION: While, as Redford noted, Chaco Canyon itself is in the center of one of the driest (and most alkaline) regions in North America and as such unsuitable for agriculture, I would like to point out that the Mayan civilization, which also had monumental architecture and is known for its advanced astronomical knowledge, is situated in a rain forest featuring karst (limestone) geology and is equally unsuitable for agriculture in a completely different way. Recent NASA research indicates one of the highest population densities in human history with millions of Mayans inhabiting a tropical rain forest environment. As with Chaco, archaeologists make absolutely no provision for the required fertilizer. My proposal resolves how these two famous ancient cultures (as well as all North American civilizations of that time period) were able to develop complex civilizations in equally inhospitable environments for intensive food production. 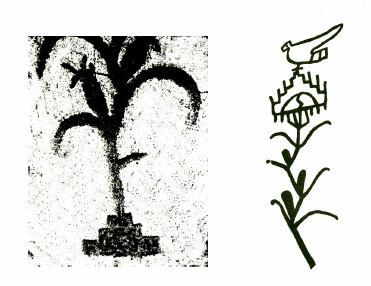 Below are four illustrations and graphics that are from my paper Ancient Knowledge of the Chaco Canyon Anasazi and illustrate my research discoveries concerning how the Anasazi and Hohokam made fertilizer. I believe this knowledge can now be applied to help resolve how the Mayans made fertilizer. 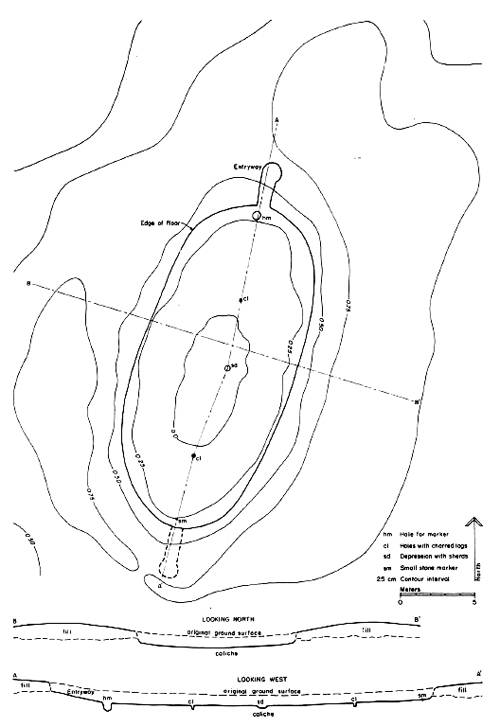 I believe that the Mayans had a basic architecture which preceded that of the Chacoans and Hohokam and that analysis of currently existing data will produce the resolution to the fundamental question of how the Mayans supported a population of millions as suggested by professor Tom Sever in the NASA proposal.